Dayumm! Did you get the $350.00 one? 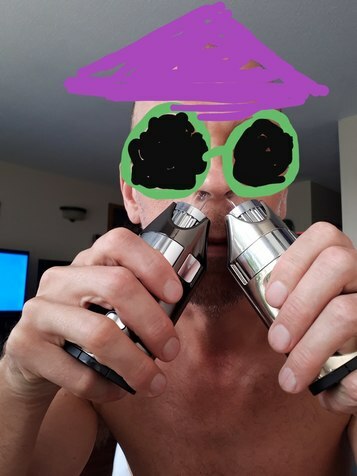 Not me.. Just got it on namastevapes for 20 % off with shipping for 160.00 USD (SS GH).. Works so far.. waiting on HL to send me there PFE, battery & 14mm to 18mm adapter.. Bud rocked the hopper on the live stream. He has one that actually works. I've had my GH repaired and replaced over 20 times. Received another repaired one in June, and it's been working fine since then. This is the longest any of them have ever worked. wow, 20 RMA’s? Just wow. This used to say 4-6 weeks. I will roll dice, pull trigger, and have @Baron23 make fun of me for my folly. Hope you are well. The one repaired in June is still working. Touch wood. My 2nd one which they have since June won't be back for a long time. They're still working on January and February RMAs. It's a real pity that it's unreliable because it's a cracking device when it's working. Hopefully their latest fix will provide a solution. i use my Ghost at home and the Grasshopper if I'm out and about. Hotter vapour and flavour not as good as the Ghost but still very enjoyable and perfect for stealth. It does get very hot on the mouthpiece but I use a PFE and a modified Ecig Drip Tip like these. 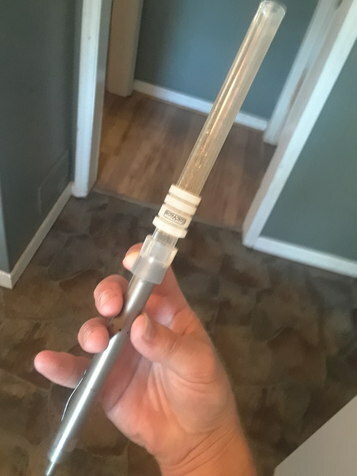 Also useful if you're sharing with friends who don't like sucking something after someone else. Your right it did used to say 6 weeks~.. I got mine one month ago from namaste and it still works fine.. Maybe the new parts are working for now? GL and enjoy~.. Hey btw I ordered the PFE and other accessories that said "1 day" shipping estimate and it still took them the whole week.. Only reason why they sent it even that fast was I sent them a e-mail 3 days after my order and nothing had changed in my order status.. I got e-mail next day saying it will be shipped today and it was so it wont hurt to inquire about your order after that 4 day mark if it hasnt been shipped. Nope...if you get a good operating one you will love it. Loved mine for 18 months until it broke. It works now, after a 12 week or so RMA....but it doesn't work as well as before. Just not hot enough and AVB too green for my taste (especially since I have to run it at top temp setting) and nothing like what my GH used to do. Actually, I have two somewhat cool running GH and I'm just not doing the RMA dance with them anymore. Just not worth it to me. Loved the device, sick of the company's excuses and poor execution. Does anyone have a recently bought unit that blows their mind. After I finally buy one the tru-tru will be revealed. Please post your thoughts on recently purchased units. I've had mine for almost 2 years and now it's going straight to blue with no heat...any diy tips before I have to go through this process ..? I want to hear from 1st time buyers of new units. Has anyone tried the ht performance tip? @vapeaholic88 sorry late to respond. How's the back end? Is there space between the Ring of the clip and the temp dial? DERRICK MCMILLON needs to gift one to el jefe. Does anyone have the new v5 version?